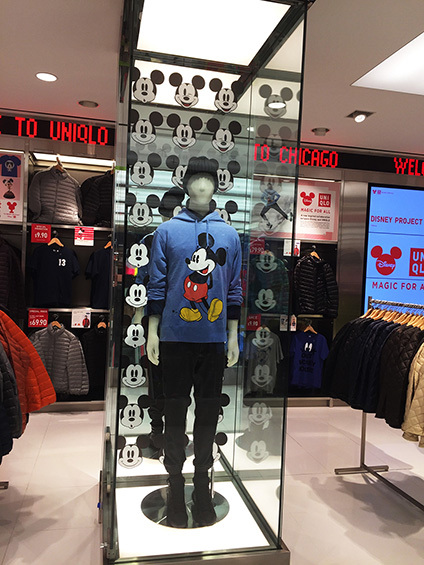 Chicagoland is thrilled to have Uniqlo open the doors on its first Midwestern location. The Magnificent Mile flagship is among their five largest in the world and features almost 500 mannequins! 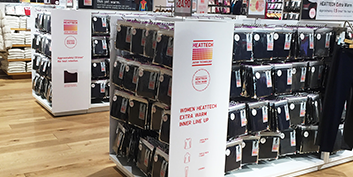 Our work helps the customer navigate through its three floors of apparel collections. 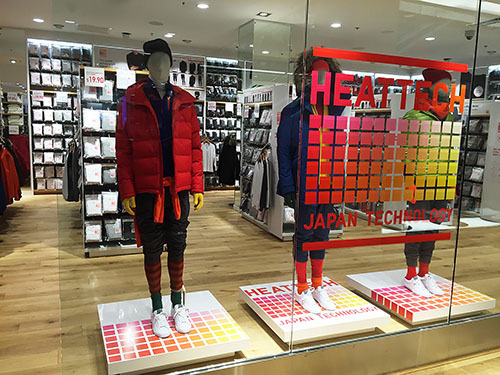 Individually cut vinyl pieces were applied onto the glass to form the gradient Heat Tech logo. We mimicked the same design on the mannequin pedestals, which were wrapped with logo-print wall noodles. 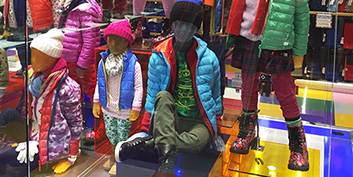 Behind the rotating mannequins in three different showcases, cling graphics were applied to the entire floor to ceiling mirrors. 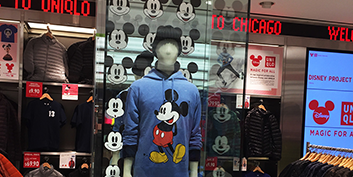 Mickey Mouse becomes a completely branded statement with a mirrored backdrop of cling graphics. 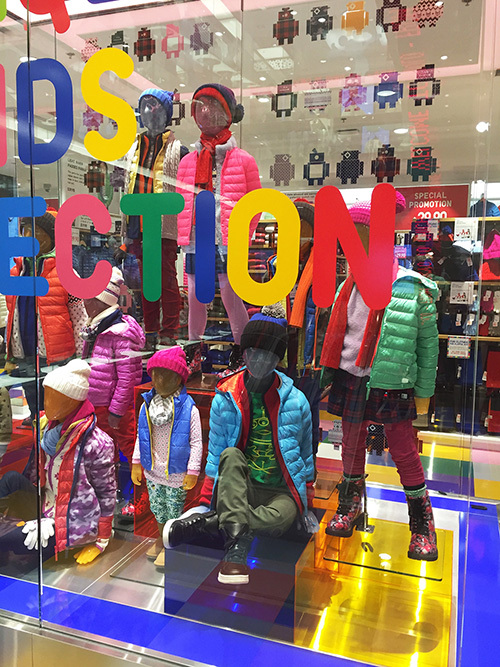 We produced a whimsical scene to showcase the Uniqlo kids’ collection, starting with the brightly colored vinyl letters. The mannequins stand on 3 different sizes of plexiglass risers in 7 colors. Behind them, there’s a grid of kid "robot" cling graphics. 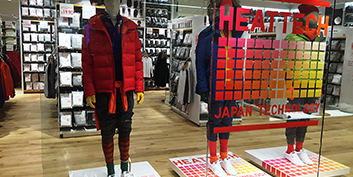 Bright floor lighting illuminates the entire display. 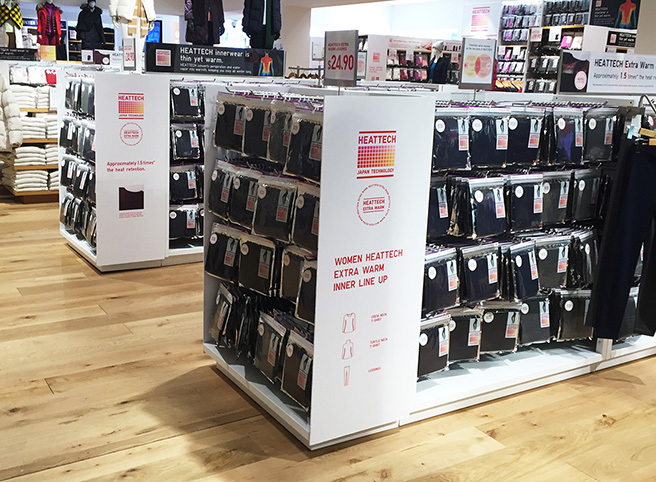 Simple foamcore endcaps provide extra display space with room to call out brand attributes and guide the customer. Not only that, but they are easy to print, set up and replace.